It’s an honor to work with organizations that are already doing great things in philanthropy, like the members of the Science Philanthropy Alliance. 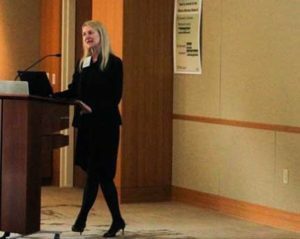 Cori Bargmann, President of Chan Zuckerberg Science spoke at the meeting of the Science Philanthropy Alliance, an organization that brings together multiple foundations dedicated to investing in basic science research in order to promote societal well-being. It’s going to take all of us working together to make an impact, grow a movement, and help to cure, prevent or manage all diseases by the end of the century. We’re thankful for and look forward to working with the Science Philanthropy Alliance and its members: Howard Hughes Medical Institute, The Kavli Foundation, Simons Foundation, Gordon and Betty Moore Foundation, Research Corporation for Science Advancement, Alfred P. Sloan Foundation, Wellcome Trust, and many more.